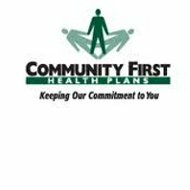 This Community First Group Health Service Corp. Health Insurance Company review looks at San Antonio, Texas-headquartered Community First Health Plans and Community First Group Hospital Service Corporation. It is a not-for-profit health maintenance organization (HMO) incorporated by University Health System in 1994. The HMO first offered commercial health insurance policies to South Texas employers in Bexar, Texas and the surrounding seven counties. By 2002, Community First Hospital Service Corporation offered PPO health insurance to groups. According to 2009 enrollment data, Community First insures about 119,000 members and employs about 140 people. The company generated gross sales of about $250,000 in fiscal year 2010 and reported a slight loss for the period. If you are thinking about health insurance, take a few minutes to request competitive health insurance quotes to save money on health insurance rates! Learn more about Community First Group Hospital Service Corp. to determine if their financial services programs meet your personal, family, or business requirements. The organization received an awarded contract from Texas in 1996 to support the Medicaid program. In 2000, Texas administrators awarded Community First with the state Children’s Health Insurance Program (CHIP). In 2004, Texas accepted re-bids from Community First for the CHIP and Medicaid insurance contracts. Contact member services at 210-348-6070 for your business insurance needs. Community first is both locally-managed and owned. Serving the community is one of the key goals of Community First Group Hospital Service Corp.
Community First Group Hospital Service Corp. uses a network of independent insurance agents and brokers to distribute its products and services. Community First pays insurance agents a commission upon payment of insurance plans. Insurance agents and brokers interested in selling the organization’s insurance plans and services may indicate their interest by submitting a resume and contact information through the company website. According to Community First’s agent site, commission payments are made the first week of the following month in which the sale occurs. All paperwork and documents necessary for the policy must be submitted, and premium payments must be made on a timely basis to ensure payment of commissions owed. Agents may contact Community First Account Services at 210-358-6283 for more information. University Health System plans to complete emergency center and patient room expansion plans by 2012. In addition, the downtown health center plans to add pharmacy, imaging, and crisis/acute care services between year-end 2011 and 2012. University Health Systems employs about 2,252 people. The company was founded in 1955. The organization generated sales of approximately $714,270 during year-end 2010 and operates on a not-for-profit basis. The top 50 hospitals account for approximately 30% of industry revenues. University Health Systems is not a major hospital industry competitor. The organization competes with larger Iasis Healthcare, Methodist Healthcare, and Vanguard Health Systems in its Texas markets. Do not wait another second to compare your health insurance rates—request completely free health insurance quotes by providing your zip code now!